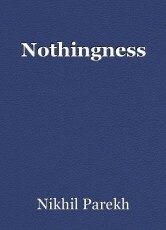 Therefore; how dare you ever proclaim that the word "Nothingness"; was none but a fecklessly rotting gutter of insipidly cadaverous feces; how dare you ever proclaim that "Nothingness" was the sole cause of haplessly deteriorating extinction and death in the world today. Therefore; how dare you ever proclaim that the word "Nothingness"; was none but an inconsequentially morbid ingredient of helplessness; how dare you ever proclaim that "Nothingness" was the sole cause of sacrilegiously wanton extinction and death in the world today. This page was created in 0.3141 seconds.